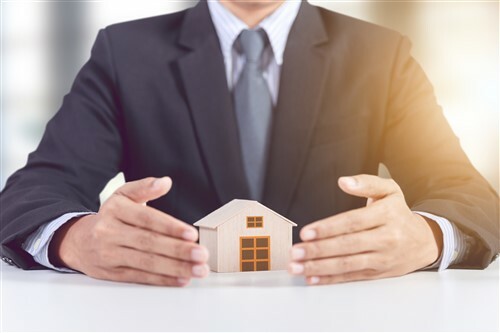 Firmly entrenched in the mortgage industry, diversification is no longer a mere option as much as it is a staple of most brokers’ and brokerages’ business plans. Broker One is a network that also offers a slew of insurance products, which is in line with an industry-wide trend. However, not every brokerage sells insurance. Dominion Lending Centres Expert Financial leverages realtors by growing their businesses, on average, 10 to 15 deals a year—and in the process, its own bottom line. “Realtors are on the frontlines of the purchase market and they’re really who deal with the buyers,” said Expert Financial’s Broker-Owner Lorne Andrews. “You need to be able to leverage people who have those types of connections. Expert Financial holds weekly training seminars for realtors and real estate boards, and Andrews says they easily draw at least 30 realtors per session. More importantly, Expert Financial gets direct access to top producers. The mortgage brokerage has built a large part of its business on diversification into the real estate industry, and tools like CRMs, agent marketing systems, contacts, unlimited websites, lead gen tools, and more, are provided for realtors willing to partner up. Taking it a step further, DLC Expert Financial has entered into a partnership with real estate law firm Nexera in which the two companies share an office, the Peak Performance Centre in Mississauga, that even includes a studio to record video. Seems like an old school model, "live and die with the realtor". I like to get my clients before they start looking for a realtor. They tend to be the better clients. They are realizing that the financial aspects of buying a house are very important. Making sure it is affordable and they have their ducks all in line. Once we do that if they don't have a realtor they trust we help them find one. As for B20. I think the changes have made us more valuable and busier than ever. The industry is a lot more complicated and you need to be working on mortgages full time. It is very hard to be an expert in everything these days and I for one have chosen to be an expert in mortgage financing. Our firm is up 35% this year and a lot of this is attributed to the more complicated mortgage landscape and our clients wanting to understand why they can't get that rate on the internet. A lot of brokers have based their models on rate alone and this does not work today. Congrats on your firm being up 35% this year; that's an amazing accomplishment given the current lending environment. I agree with what you said about broker models based on rate alone not working today. With mortgage qualification becoming ever so complicated and, technological disruption right around the corner, the simple deals will be for the most part self served and self directed by the consumer with direct to lender access at discounted rates. A broker's true value is not the rate but their ability to guide, advise, and partake in managing the financial relationship of the client in concert with other members of the client's financial team (insurance, wealth manager, realtor etc...). Too many people in the industry are just sales people and very few are true brokers.